Edmentum (edmentum.com), a global leader and the original pioneer in online teaching and learning programs, announced the expansion of its executive leadership team. Marcus Lingenfelter, Senior Vice President of Strategic Initiatives and Partnerships; Karen Barton, Ph.D., Senior Vice President of Research and Design; Jason Scherschligt, Vice President of Product Strategy and Experience; and Christy Spivey, Vice President of Curriculum and Assessment Development join the organization as the company experiences strong growth and demand for our partnerships with educators across the globe. Marcus Lingenfelter, Edmentum’s newly-appointed Senior Vice President of Strategic Initiatives and Partnerships, has two decades of leadership experience in postsecondary education including campus roles at the University of Virginia and Penn State University along with cabinet-level positions at Widener University and Harrisburg University of Science and Technology. He previously served as Senior Vice President of Advancement for the National Math and Science Initiative (NMSI) – the non-profit established to dramatically improve math and science educational outcomes for the country. Karen Barton, Ph.D. joins Edmentum as the Senior Vice President of Research and Design, bringing 20 years of experience in education to the role. She previously served as Vice President of Learning Analytics at Discovery Education and most recently as Vice President of Assessment Solutions at NWEA. In her new role, Karen will lead Edmentum’s research, academic program design, and psychometric efforts, with a focus on ensuring every Edmentum program is valid, reliable, endorsed by educators, and produces positive student outcomes. Jason Scherschligt joins Edmentum as Vice President of Product Strategy and Experience. He brings more than 18 years of experience leading innovative product management and user experience approaches in organizations like the Star Tribune, Capella University, Jostens and GoKart Labs. Jason will focus on designing and managing industry changing, captivating education products that truly empower educators, engage students, and provide education leadership with the insights they need to develop and maintain education programs that create access, equity, engagement, and positive learning outcomes. Finally, Christy Spivey assumes the role of Vice President of Curriculum and Assessment Development for Edmentum. During her tenure, Christy has served in a variety of roles shaping the company’s curriculum development strategy. Embracing her experience in the classroom, she ensures educators are involved in every step of Edmentum’s design and development to provide programs that meet the needs of educators everywhere. Christy leads a team of deeply committed curriculum and assessment designers focused on creating a new paradigm in differentiated instruction, blended learning, and active learning models. For more information, visit Edmentum or contact Victoria Dellacava at vdellacava@momentum-cg.com. Edmentum, Inc. is committed to making it easier for educators to individualize learning for every student through simple technology, high-quality content, and actionable data. Founded in innovation, Edmentum’s powerful learning solutions blend technology with individual teaching approaches. 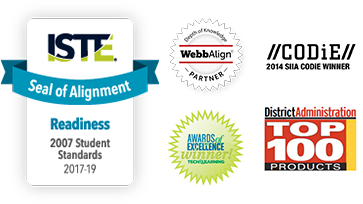 Edmentum is committed to being educators’ most trusted partner in creating successful student outcomes everywhere learning occurs. Built on fifty years of experience in education, Edmentum solutions currently support educators and students in more than 40,000 schools nationwide. For more information, visit edmentum.com.